A few months ago, Yasin Absir, a SESEC partner emailed to say: “I believe the conversations that occur at SESEC can only occur at SESEC and not other places… That’s why I enjoy coming to the meetings.” As staff of SESEC I couldn’t agree more and I am grateful for the environment we collectively create to allow these conversations to happen. At the August meeting we intentionally designed a meeting format to allow our community to focus on race and how it impacts our Southeast Seattle community. It was a conversation many wanted to have, as demonstrated by the large attendance and the engaged table conversations. For me the conversation stuck. I’ve been thinking a lot about the meeting, the people who were there, and how we move forward. Racial equity work requires us to think, but then move from thinking to feeling and understanding. Over the past few weeks the stories shared and the intensity of the conversation stayed with me. We must continue to be brave and talk about race and its impact on our community and families. We also need to move beyond talking to action, including building resilient and trusting relationships which allow us to hear each other and hold each other accountable. Where we go next is a re-dedication to using a racial equity lens and focus in our work. As a coalition we will continue to talk about race and racial equity and how it impacts our Southeast Seattle community. We will continue to center our work with communities of color, families and children of color. We ask you, our SESEC community and coalition partners, to continue to show up and hold us and each other accountable to these dedications and goals. We also ask you to join us and be brave for the sake of our community and children. At our September SESEC meeting Mia Tuan, Dean of the University of Washington College of Education will join us. I’ve invited her to share what the UW is doing to support students of color in SE Seattle and how we can work together to close opportunity and achievement gaps. This is one small way we are working to honor the conversation that happened in August and to move forward as a coalition. 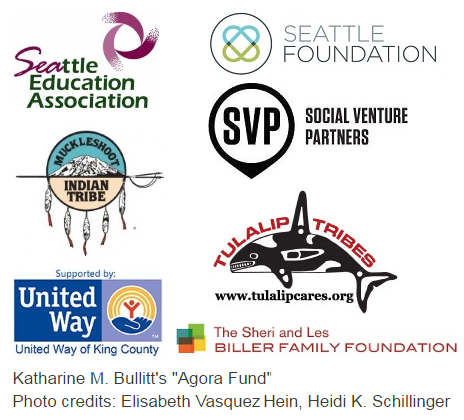 Thank you for your time, your trust, and continued work in supporting students and families of color in SE Seattle.